I Am Love blew me away. It's such a beautiful film and the pacing is so spot on. 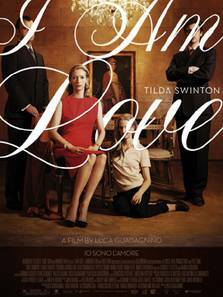 Tilda Swinton plays a Russian wife incorporated fully into a large Italian family. It follows her as she commences an affair with a younger man. There's not much to the story other than it washes over you. 8/10. I was blown away by this as well. Even down to her beautiful; clothes.